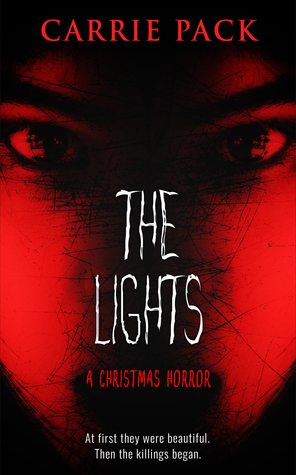 Today on the site we have an exclusive excerpt reveal from Carrie Pack’s The Lights, a YA horror novella releasing on December 11 with an f/f couple at its heart. Come check it out! It’s winter break and Molly Monroe is content to enjoy her town’s annual Festival of Lights with her girlfriend Chelsea at her side. But almost immediately after the lights go up, the town’s children begin to act strangely, especially Molly’s own brother, Roger. When their next-door neighbors are killed in a grisly double homicide, Molly begins to suspect the incidents are linked. Now she must convince her parents and the rest of the town to take down the Christmas lights before everyone gets killed. As I cut out tree and reindeer shapes from the dough, I stole sideways glances at Dad as he worked on the frosting for the decorations. I decided to take my chance and broach the subject of Roger’s behavior. Apart from the blank staring, he’d also stopped playing video games and begging to know which of the wrapped gifts under the Christmas tree were for him. And since the Van Atters’ murder, he had watched me with piercingly cold eyes. Dad didn’t seem to notice how weird he’d gotten. “Maybe call tomorrow,” I suggested. I saw movement out of the corner of my eye and looked up to find Roger standing next to Dad. “I want to see the lights,” he said. Roger’s expression didn’t change, but he went upstairs. A few minutes later Mom shuffled downstairs with Roger in tow. She looked awful, with dirty hair framing her thin and pale face. Dark circles marred the skin under her eyes and she wore an old pair of Dad’s sweat pants and an oversized, stained sweatshirt. But it was the first time she’d been out of bed since the murders. So we all piled into the car and drove downtown. With less than a week until Christmas, the streets were crowded with shoppers and visitors who had come from neighboring towns to look at the lights. People stood in wonder at the bright colors and sounds coming from every direction. Some of the children stopped to stare just as they had after the processional, while their impatient parents tugged at little mittened hands. The stress of the season was getting to everyone it seemed. I turned sharply to face him, but he continued to gaze out the window. His face, backlit by the blue of the lights overhead, gave off an eerie, ominous glow. But it seemed I was the only one who had heard him. I glanced toward the front seat where Dad sang along with the radio, which was blaring Christmas carols and Mom stared out the window, both unaware of the terror now coursing through my veins. I looked back at Roger, but his expression seemed normal. Perhaps it had just been the strange glow from the new LED lights. Perhaps I had imagined his creepy whispering. Perhaps I was overreacting. Again. It felt good to be doing something kind of normal, even if it was only a moment or two. So I let my worries fall away and tried to enjoy myself. But I didn’t take my eyes off my brother. When Roger asked to go back out the following night, I refused to go. Even if I had imagined his strange behavior and the blue glow, I was not interested in reliving it. “I think it’s sweet,” Dad said. “Well, it’s a creepy phase and I’m not going,” I told him, folding my arms across my chest. I watched as Dad pulled the car out the driveway. Mom was curled in on herself, like she had been since the Van Atters were killed, but Roger stared back at me, a blank look on his face, and it occurred to me that it wasn’t my brother. Someone else was looking out at me from behind his eyes. 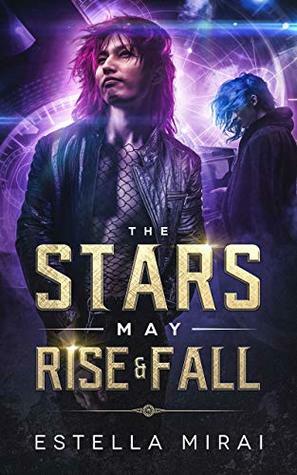 Carrie Pack is an author of books in multiple genres and a recipient of two Foreword Reviews INDIES Book of the Year Bronze awards: in 2016 for In the Present Tense (science fiction) and in 2017 for Grrrls on the Side (young adult). 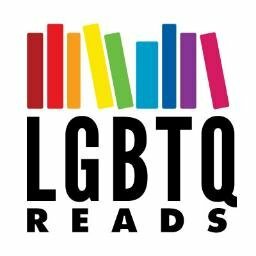 Grrrls on the Side was also a finalist in the Bi Book Awards. She also hosts the BiSciFi podcast and is creator of the #BiSciFi Twitter chat. All Kaeri Hawen wants is a peaceful life in the Lower Terrace. No more collecting debts. No more breaking kneecaps. But then the Boss’s loose cannon of a son massacres a dozen rival gangsters with a single pull of the trigger. Kaeri’s quiet retirement is off the menu—for now. If she wants out of her life of crime, she’ll have to stop Kasper and his devilish weapon first. Maria Cantabile is a clever young noblewoman with a knack for tinkering and a devastating right cross. She’s descended into the Lower Terrace to retrieve two precious possessions: her delinquent little sister, and the stolen prototype of her reciprocating repeater carbine. 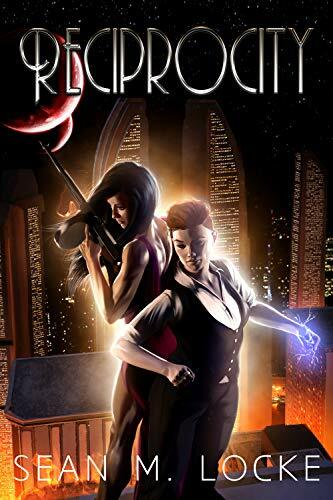 Kaeri knows just where to find both—the girl and the gun sit in Kasper’s greedy, bloodied hands. The deadly noblewoman and the gold-hearted gangster will have to work together to stop a city-wide bloodbath. They’ll have to break their own rules, and betray their own families. They’ll have to risk falling in love. Do they have what it takes to save the Lower Terrace, and save each other? Being the kid abducted by crazy old Ms. Easton when he was four permanently set Cole’s status to freak. At seventeen, his exit plan is simple: make it through the last few weeks of high school with his grades up and his head down. When he pushes through the front door of the school and finds himself eighty kilometers away holding the door of a museum he was just thinking about, Cole faces facts: he’s either crazier than old Ms. Easton, or he just teleported. Now every door is an accident waiting to happen—especially when Cole thinks about Malik, who, it turns out, has a glass door on his shower. When he starts seeing the same creepy people over his shoulder, no matter how far he’s gone, crushes become the least of his worries. They want him to stop, and they’ll go to any length to make it happen. Cole is running out of luck, excuses, and places to hide. Time for a new exit plan. Teru came to Tokyo with dreams of making it big in the glam-metal visual kei scene, but three years later, all he has to show for it is a head of hot pink hair and some skill with an eyeliner pencil. He may look the part, but he doesn’t sound it, and constant bickering among his bandmates has him worried about his future. When he finds a mysterious business card in his bag, he’s willing to take any help he can get. Help comes in the form of Rei, a crippled, disfigured composer whose own career was ended by an accident before it had really begun. With Teru’s voice and looks, and Rei’s money and songwriting skills, both of their dreams seem about to come true – but a forbidden kiss and a late-night confession threaten to tear it all apart. Now Teru, who has spent most of his life denying his attraction to men, and Rei, who vowed long ago never to love again, must reconcile their feelings with their careers – and with their carefully constructed ideas of themselves. They may not be “Academy material,” and they may not get along, but they’re the only ones left to step up and fight. It’s October, which means it’s time for some queer Horror! 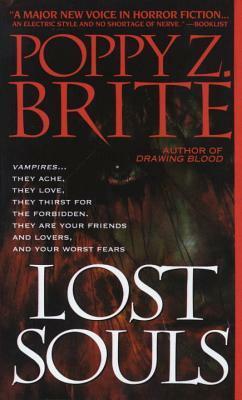 I’m prepared to fully admit that I’m a big wimp and so I haven’t yet dipped into Lost Souls, the bloody, highly sexual, totally horrific vampire novel by the author formerly known as Poppy Z. Brite, but I do know that if you’re into queer Horror, it’s gotta be your first stop. At a club in Missing Mile, N.C., the children of the night gather, dressed in black, looking for acceptance. Among them are Ghost, who sees what others do not. Ann, longing for love, and Jason, whose real name is Nothing, newly awakened to an ancient, deathless truth about his father, and himself. Others are coming to Missing Mile tonight. Three beautiful, hip vagabonds – Molochai, Twig, and the seductive Zillah (whose eyes are as green as limes) are on their own lost journey; slaking their ancient thirst for blood, looking for supple young flesh.